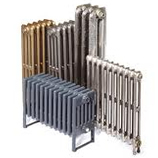 This is our range of Cast Iron Radiators that are pre assembled and ready for finishing in your choice of colours. As they are pre built they will arrive quicker than Bespoke Radiators. 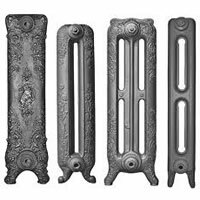 Many of our most popular traditional radiator designs are featured below in the most common Cast Iron Radiator lengths. If what you are looking for is not displayed below, please call us directly on 01723 321 333 to discuss your requirements. For important information about the delivery of your column radiators, please see our Delivery Details.